What a gorgeous palette!!! 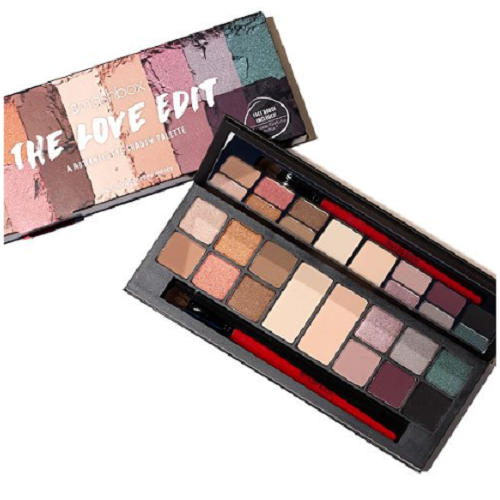 Through February 9th, you can head over to Macy’s and get this Smashbox: The Love Edit Romantic Eye Shadow Palette for Only $29.99! (Reg. $58). There are 14 long-wearing shimmers and mattes in alluring shades from lavender and rose to soft plum. Get a one-swipe romance! This passionately playful palette will instantly win your heart with its versatile mix of pigmented textures and shades. Create an innocent doe-eyed look with shimmering taupe or spice things up with honeymoon-hot mattes.